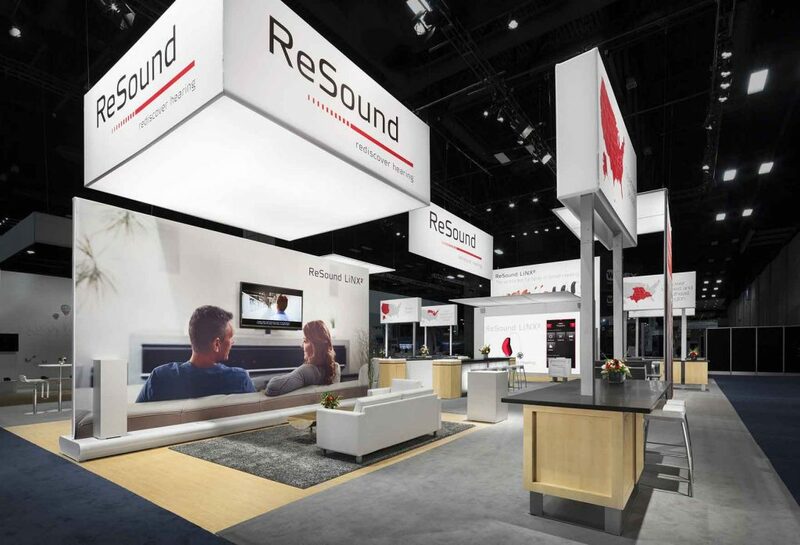 Light weight elements deliver maximum visual impact at a low cost of use. 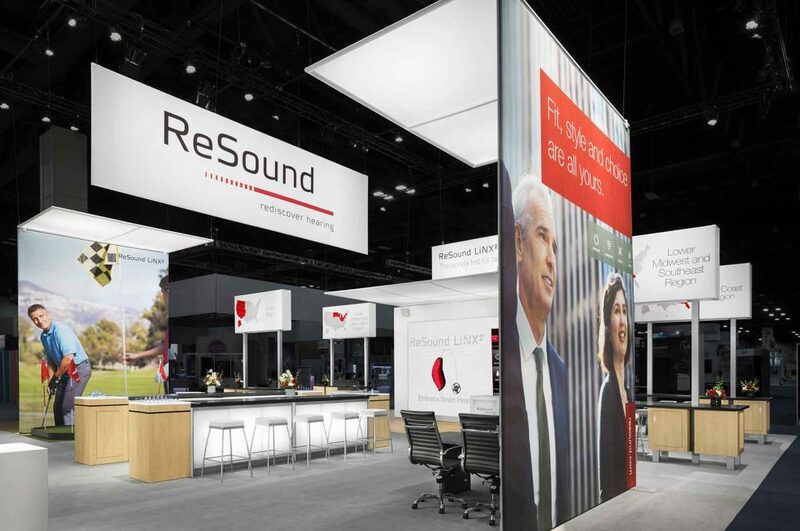 ReSound is one of the world’s largest providers of hearing instruments and diagnostic audiological instrumentation, with a presence in over 80 countries. 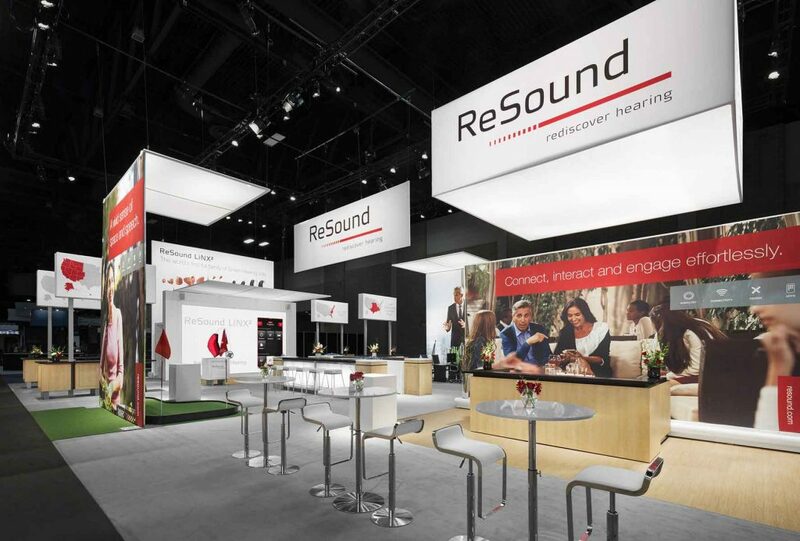 CenterPoint provides logistical services for major trade shows, which are an essential part of their marketing platform.